Last spring into summer I developed a deep pull towards herbs and their gentle, but powerful healing properties. With this pull came a lot of reading and researching – the fascination ran deep, and still does. After soaking up a pile of herb books, serious daydreams of owning a small farm comprised of chickens and herbs started. My poor husband. I’m sure I made him nervous once or twice about quitting the old day job to go into farming. After all, he’s had to pull the car over on more than one occasion so I can drool over a gentleman’s farm. 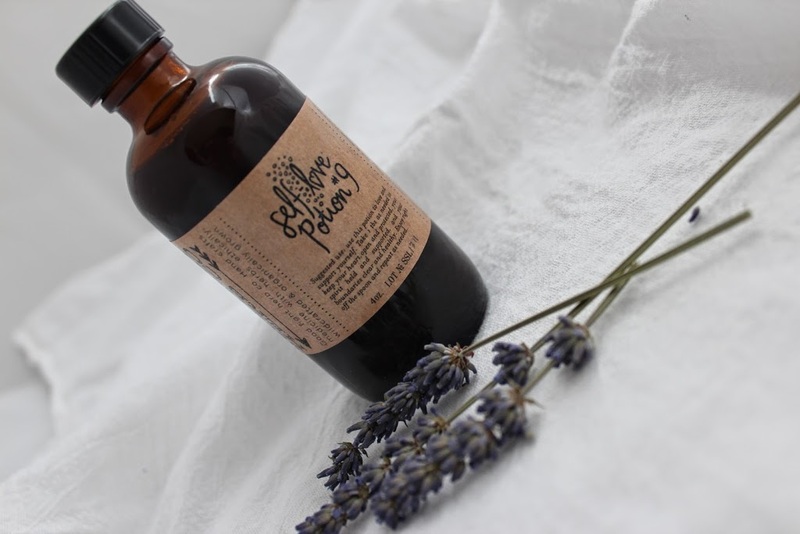 In the midst of all this daydreaming, fate pulled me towards ‘Love Potion # 9.‘ Between my love of herbs and the name and description of this product, it had basically had me at hello. But the goodness didn’t stop there. Lauren, the owner of Good Fight Herb Co., and herbalist, is so down to earth, knowledgeable, local and looking for volunteers to help out on the farm. And that’s exactly how I spent this past Friday. Volunteering, learning, working and soaking in all the herb goodness. I was so excited to go, posting my Friday quote here completely slipped my mind. So instead, I’ll leave you with a little Love Potion # 9 to start the week off right.